When making a claim for amputation compensation in Scotland there will be several types of damages that can be awarded. Where the claimant has lost part or all of a limb, the damages award is likely to be significant. Perhaps the most well known type of compensation is for pain and suffering – this is also known as solatium. For clients who have suffered amputation injuries, working out these factors can be complex and Thompsons will aim to seek medical evidence to ensure the fullest extent of the relevant factors are considered. Our experienced amputation claim solicitors have wide-ranging experience in such cases and will be able to seek the most appropriate sum for your situation. Also known as special damages, or patrimonial loss, compensation for loss of income, loss of future income and out-of-pocket expenses is likely to be a significant component of an amputation injury claim. In many cases, the claimant's future employment opportunities will change considerably and this has the potential to cause financial hardship. Whether you were employed or self-employed pre-accident, our personal injury lawyers will calculate the potential loss, including overtime and pension contributions, as you should not lose out if the injury was caused by the negligence of another party. A further component of an amputation compensation claim will be to cover the provision of ongoing specialist care, such as counselling and physiotherapy, alongside equipment, prostheses and, when appropriate, adaptations to your home. While the NHS provides excellent services in this respect, there are numerous advanced therapies and types of equipment on the market which are not available on the NHS and these can aid amputation victims recover more mobility, accessibility, and provide better outcomes than the basic services and equipment. Thompsons amputation claim solicitors have the knowledge and expertise to ensure the level of special damages sought for your particular circumstances will help you achieve your fullest potential recovery and offer the best chance of you receiving advanced equipment appropriate to your situation. 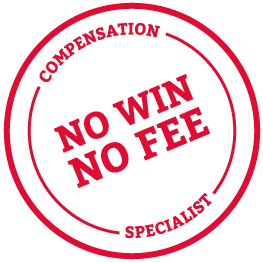 We provide a comprehensive no win no fee package which guarantees that if your claim is not successful, you will not be required to pay anything. To talk to Thompsons about making a claim for amputation compensation, call 0800 0891 331 today or fill in our contact form online.